يشكل Royal Pacific Resort بموقعه الممتاز في جولد كوست نقطة انطلاق جيدة لاستكشاف هذه المدينة النابضة بالحياة. يقع الفندق على بعد 6.5 km من مركز المدينة، ويؤمن الوصول إلى أهم مراكز المدينة. يشكل هذا الفندق ملاذاَ مريحاً للاسترخاء ويمنح زواره فرصة للاستجمام والتجدد، وهو يقع على بعد خطوات من المعالم السياحية الكثيرة للمدينة كمثل: Harbourside Market, هاربور تاون, Harbour Seafood Market. يعمل Royal Pacific Resort على ضمان إقامة مريحة لضيوفه من خلال خدماته الممتازة وحسن ضيافته. يمكن للنزلاء الاستمتاع بالميزات التالية: واي فاي مجاني في جميع الغرف, تسجيل وصول/خروج سريع, واي فاي في المناطق العامة, صف السيارات, التوصيل من وإلى المطار أثناء إقامتهم في هذا المكان الرائع. استمتع بوسائل الراحة الراقية في الغرف أثناء إقامتك هنا. بعض الغرف تتضمن تلفزيون بشاشة مسطحة, غرف لغير المدخنين, مكيف هواء, تدفئة, شرفة/ تراس لمساعدتك على استعادة طاقتك بعد يوم طويل. يقدم الفندق مجموعة رائعة من الخدمات كمثل مركز للياقة البدنية, ساونا, مسار جولف - ضمن 3 كم, حمام سباحة خارجي, سبا، لجعل إقامتك تجربة لا تنسى. يحظى فندق Royal Pacific Resort بموقع ممتاز وخدمات يصعب منافستها. The view is beautiful. Handy to shops . Nice place to relax. convenient location, great views. one bedroom apartment. cable TV. convenient. very old but functional facilities. bathtub converted to a shower with enclosed sides and taps in the middle of the length of the bath tub made it a little too small and difficult for ease of showering but water pressure and shower head capacity was good. Due to the smallness of the enclosure and location of the taps, as we are in our 50's it was difficult to get up from the bath if the shower screens are pulled shut. Stay was comfortable and very pleasant. The pool is heated and the spa is wonderful. The table tennis table was well used and much fun was had with the pool table. The hire car did the job; it was clean and economical. The only downside was the fitness centre wasn't what it was expected to be, but otherwise we had a great stay. We cut our stay short as we had a family emergency, so we only stayed for 2 nights. We had a 2 bedroom apartment facing the beach on 4th Floor. The apartment was pretty good with all the usual amenities. We had to ask for a Hairdryer as apparently they don't leave them in the apartments?? The Master Bed was a hard as a rock & very uncomfortable, so we slept in the second bedroom on the single beds, which were comfortable. The view from the balcony was great, but you couldn't leave the doors open at any time as the noise from traffic & the Holiday Makers was unbearable. If you want to sleep in, you either need to be deaf, or wear ear plugs. The area is nice with the beach across the road. You will need a car if you want to eat out or shop. We didn't really see any staff, so we can't comment on their professionalism. Overall, because of the time of year we booked, we didn't have much choice, but we don't think we would stay there again, as there are better places for the same money. The apartment I had was tired, the blinds didn’t fit properly so was woken up every day by 5.45/6 o’clock by the sun ( last thing you want while on hols ) , the bed was very uncomfortable and therefore woke up with a bad back every day ...there are no instructions on how to work the washing machine/ dishwasher... as a result of this I had put the dishwasher on ( or what I though was on ) the night before I checked out only to fine it hadn’t cleaned the dishes properly so had to wash them up... the last thing you want when checking out that morning ... 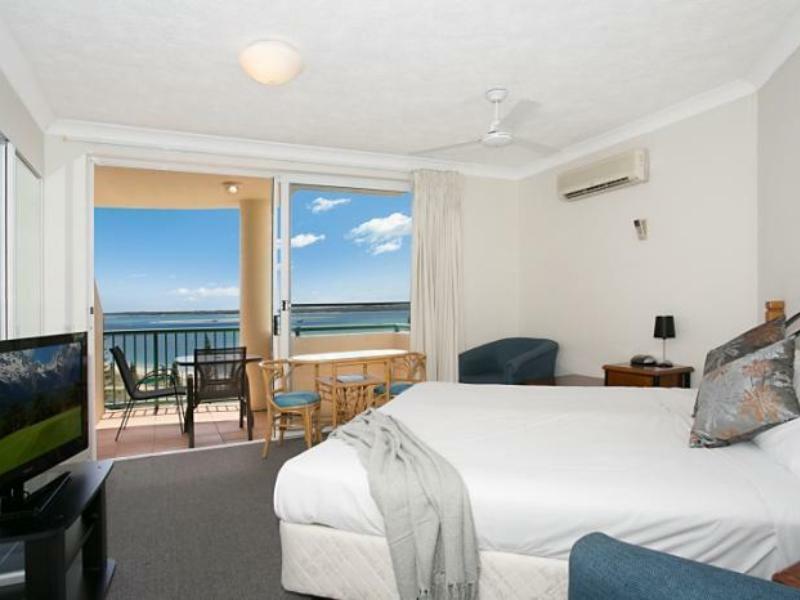 The staff are friendly and in fairness to them when I mentioned about the blinds and not sleeping he did offer to put up a black out curtain but for me it’s was too late , the facilities are good and the ocean is just over the road and I’m sure if you had a better apartment your stay would be enjoyable. Management is exceptional. They made the stay extra special with their friendliness and helping us with getting our car started... they went beyond the call of duty and didn't give up until we were solidly on the road. Can't say enough about our stay. Great location and rental, but we will be back here again as we have someone in our corner. Stayed for a weekend of birthday celebrations. Staff were just magnificent and with great cheeky Aussie good humour. Room looked out over the broadwater area. The facilities in the room were top quality and well maintained. We had all we needed to relax and were close enough to all the places we needed to be. Would happily stay there again and recommend it to you! Pros: Easy after hrs check-in and out. Free parking. Clean, tidy units. Good shower in new-looking bathroom. Firm but comfy beds. Free Wi-Fi & Foxtel. Loved the warm pool & spa. Close to malls & attractions but away from chaos of Gold Coast. Waterfront. Good choice of value eateries close-by (Thai/Malay; Indian; Japanese; Burger etc) Cons: Rooms not very soundproof but the 10pm noise curfew was well-respected. Don't use toaster under smoke detector! The heat set it off!! *We never saw staff but spoke via phone & email/app messenger. Very helpful. We stayed in a larger room at Royal Pacific last time which was more comfortable and quieter. This time we had a room which was smaller and we were disappointed. We couple hear people in the adjoining rooms and the bathroom in the room above was noisy too. Not great if you want a good night's sleep! The view was beautiful, ie from our own balcony we over looked the pool and beach. The pool was kept in pristine condition and was so stunning night and day. We loved that it was heated too. Excellent location, with supermarket and cheap eating places only 7min walk from hotel. Great location. Fantastic view of the beach.. it's quite in that area and the beach isn't rough. There is boats there though. Nice pool, spa, sauna. Our decor was a bit outdated but I think some other apartments have been updated. But we got a great price on Agoda, so can't complain. 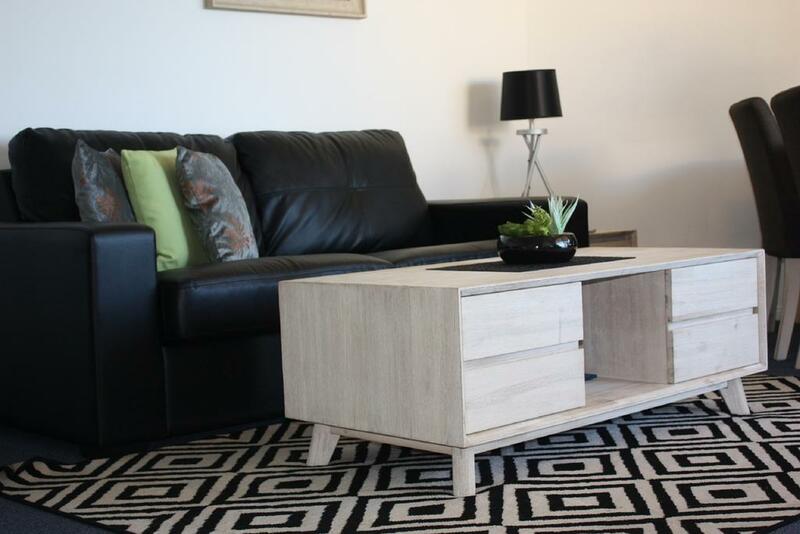 Good size 2 bedroom apartment with 2 bathrooms and baths. Kids loved it. 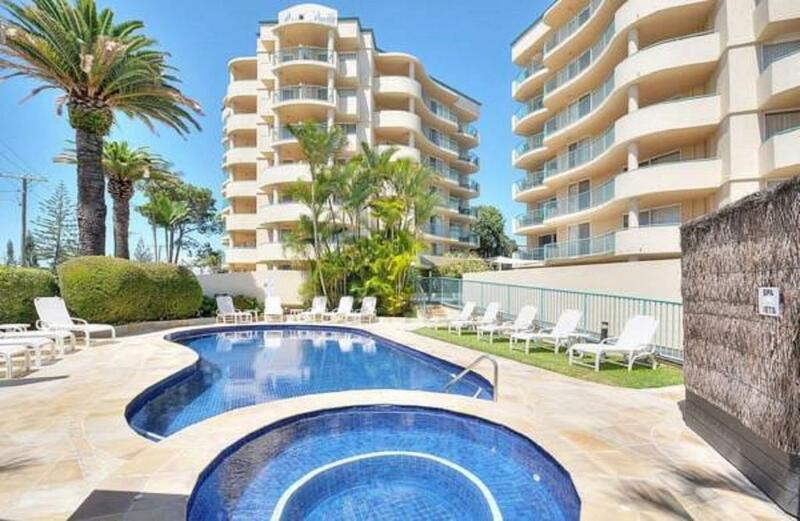 It's a great place to go if you want to be out of the hustle and bustle of Surfers Paradise. The swimming pool and spa were the best part of the resort. The kitchen blind was broken and the sofa was uncomfortable, but other than that it fulfilled our needs. We enjoyed our stay. The view from our balcony was peaceful. The room has a kitchenette, although we didnt use it. The staff were pleasant. The decor was alittle old school but the room had everything you need. Only down fall is only one roll of toilet paper is provided and no tissues so you will have to get extra if needed at the nearby shops. The undercover, secure parking is great. The games room had a table tennis table which was free to play. The pool was great. Very happy with the location, the view from our room was beautiful and the unit was very clean. Parking was off the road and secured which was good. Nothing bad to say about our stay as we absolutely loved it. We throughly enjoyed our stay and will be back again. We loved the location. 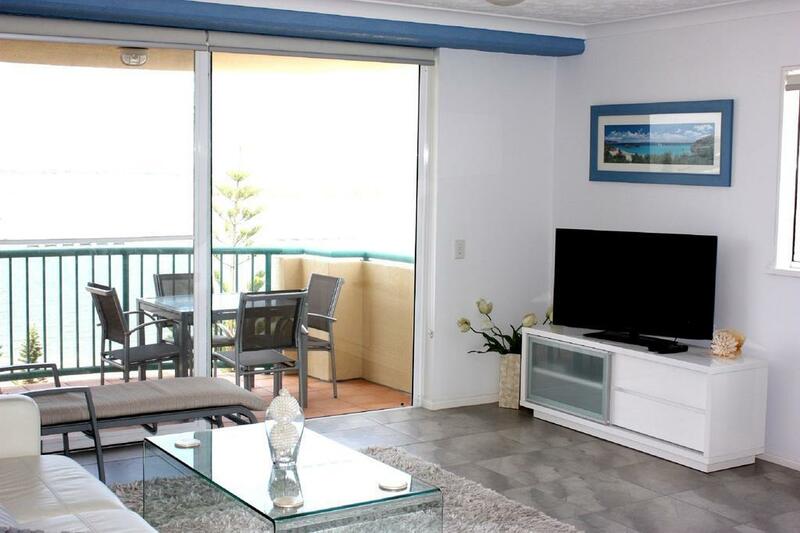 Out of the hustle and bustle of the main Gold Coast area but only a short drive to it. Quiet resort with great amenities. Thank you Royal Pacific! Easy access and secure undercover car parking, nice room, good view. Enjoyed our stay everything we need was in the apartment, only had a small shower but good hot water. Easy swipe into locked undercover car parking with easy access to elevator. Nice pool and spa and view from room. Easy book in with helpful staff. Have stayed here several times and every time the room we get is smaller. This time was quite small. Didn’t feel very homey. Location is great.